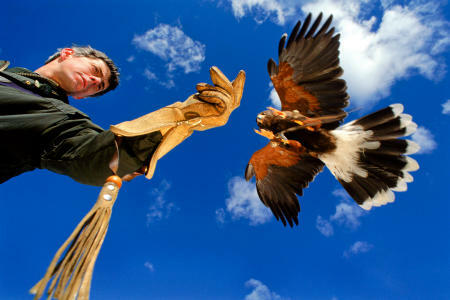 A harris hawk readies to land on the glove of Green Mountain Falconry's Rob Waite. Shot for Yankee Magazine. 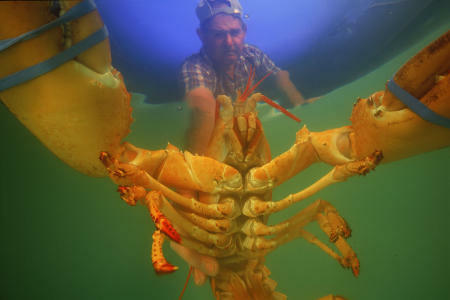 Portrait of a lobsterman and his catch. 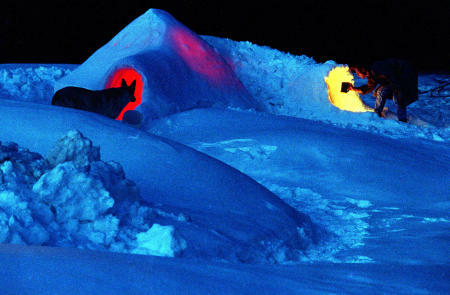 A man lights his way into an igloo he built as a winter fort, as his dog waits outside the other end. 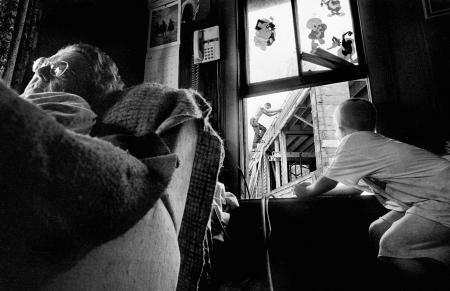 A grandmother sits in the family's house, as her grandson watches his father build a new, bigger house outside. 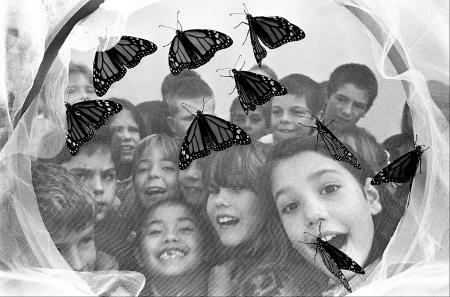 Elementary students check out monarch butterflies they raised, before setting them free to migrate. 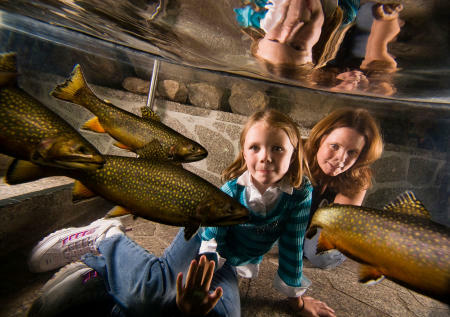 A daughter and mother look at brook trout in the pond at LL Bean in Freeport. Shot for Down East magazine. 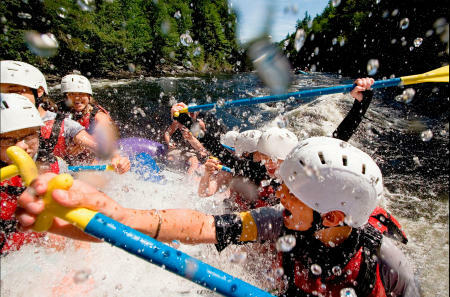 White water rafters navigate Class 3 water on Maine's Kennebec River. Shot for Time magazine. 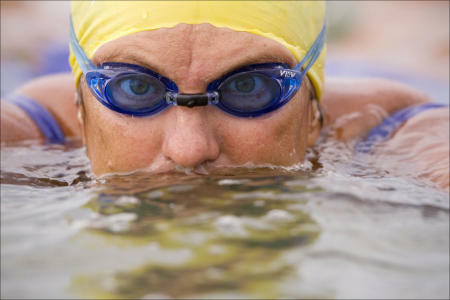 Ocean swimmer Pat Gallant-Charente swims on the Maine coast before heading to swim Japan's Tsugaru Strait. 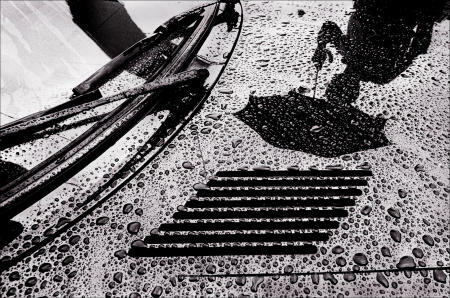 An umbrella-toting pedestrian reflects in the rain-covered hood of his car. 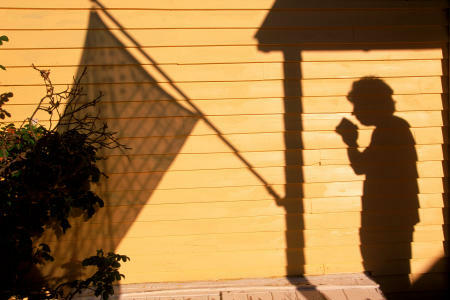 A man sips his morning coffee on the porch of his Islesford, Maine home. Shot for Yankee Magazine. 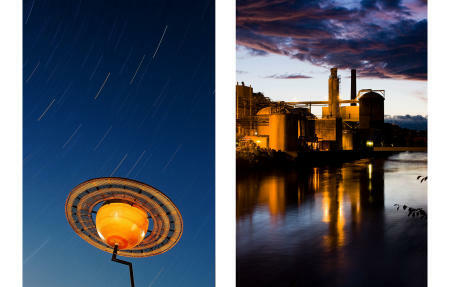 A scale model of Saturn and the Great Northern Paper mill are set against northern Maine skies. Shot respectively for Smithsonian and US News & World Report magazines. 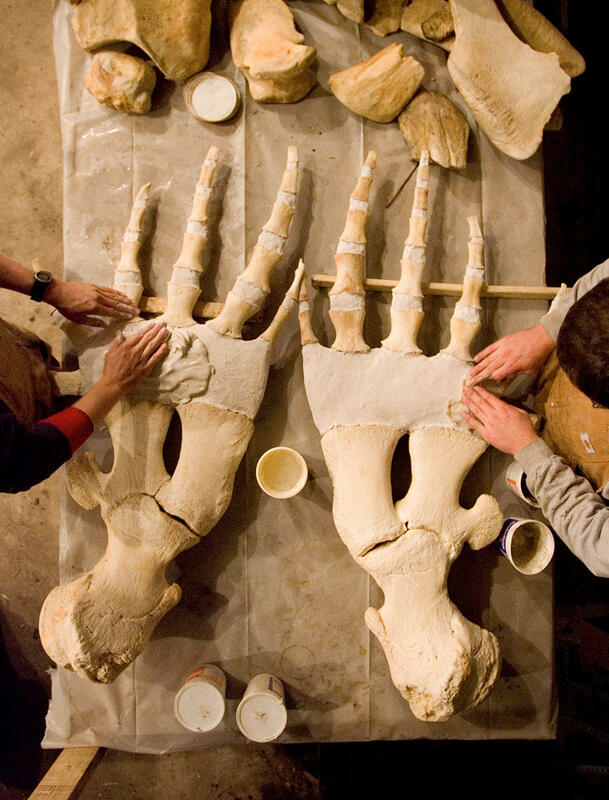 Marine skeleton articulators reconstruct pectoral flippers of a sperm whale for the Nantucket Whaling Museum. 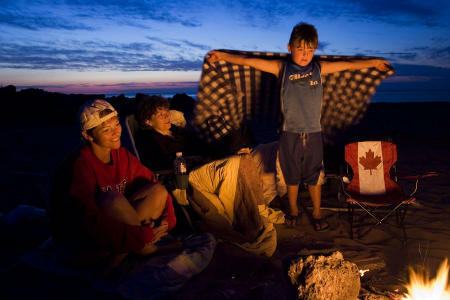 Islanders enjoy a beach campfire on Canada's Prince Edward Island. 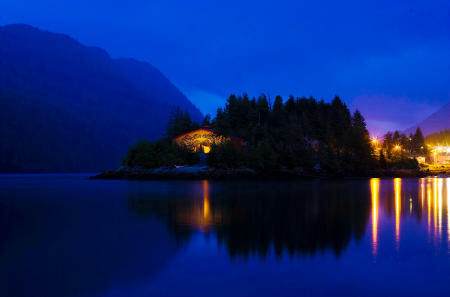 The Big House is prominent on the point of Swindle Island in the coastal fjords of British Columbia, Canada. 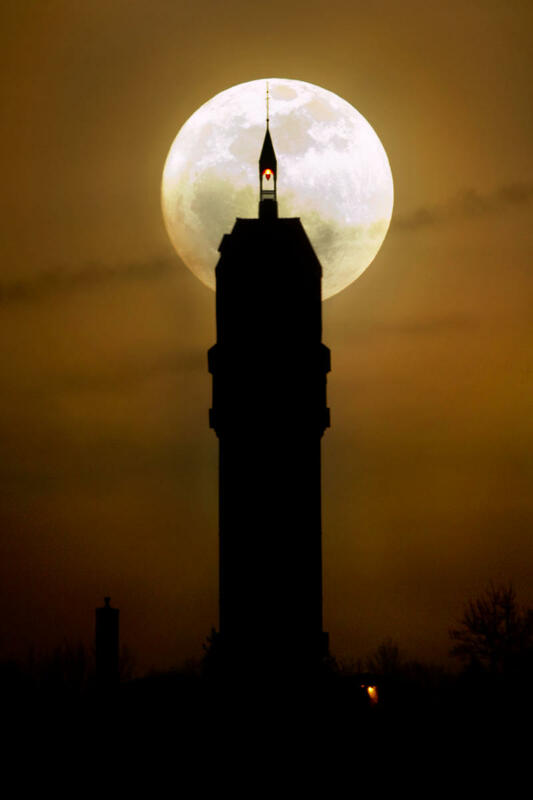 The full moon rises behind Heublein Tower, on Talcotte Mountain in Connecticut.